We have been doing lots of celebrating! My nieces birthday party was Saturday night. Jennifer is 20 and Melissa is 15. Melissa made the cute cakes for the party! I want this cake to live at my house. Isn't it so cute and so "me"?! Poor Marcus didn't quite make it in the picture, but you can see his beard. He has been off work the past month taking care of me and the kids! Yay for paternity leave and a husband who never uses sick days. It's been great having him home. BUT, he had to go back to work today and that meant shaving his face. Firemen can't have beards. Marcus texted me this picture from the bathroom last night. 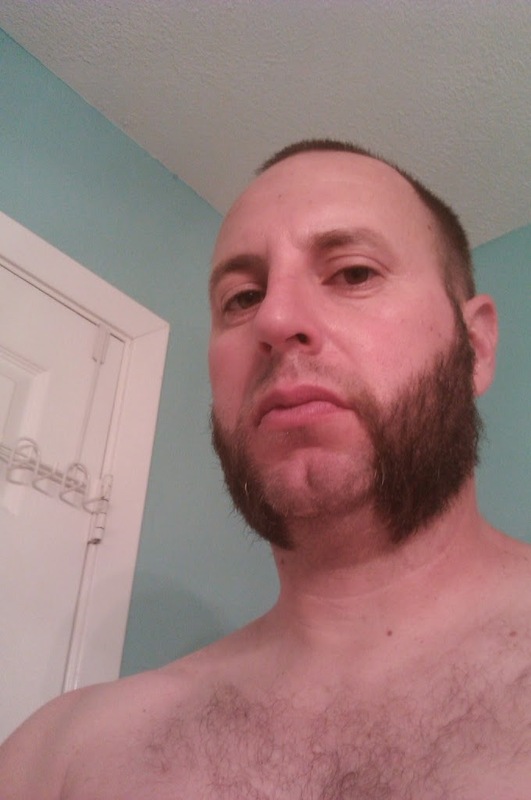 He was experimenting as he shaved the beard off. He and Katie were both sad to see it go. Marcus was off for a month with Katie too, and he had some fun while shaving. You can see that here. We also celebrated Donut Friday! 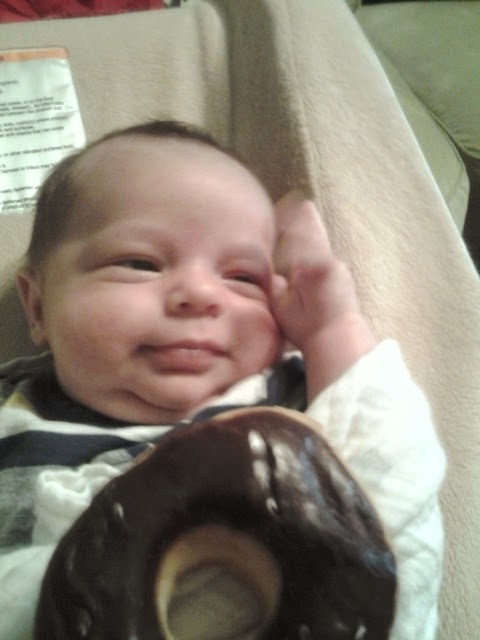 Jesse is working on a double chin and it looks like he is saluting his donut! Yesterday we celebrated Senior Sunday at church! 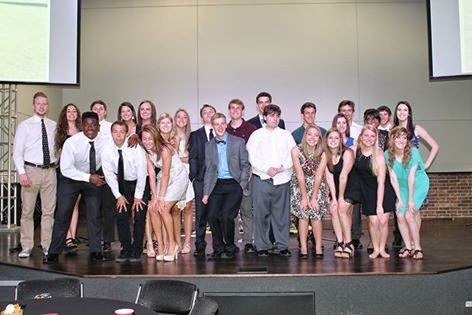 Here are all the graduating seniors. I teach the senior girls Sunday school class. Here I am with a few of the girls and my co-teachers. And this was last Sunday when most of them met Jesse for the first time. Last week I had a Sip and See with my church friends! The cute pictures on the table were taken by my friend, Rene. Catherine made the cupcakes and the toppers. I love how these girls just pulled up chairs to the buffet. Look at all the fun gifts! I have the sweetest and most fun friends! These girls hijacked my camera. Kari made all the cute embroidered things and Hilary gave me tons of newborn clothes. Her baby Corby is about 3 months older than Jesse. Hilary also saved me that night and shared some formula with me! I didn't want to interrupt the party to breast feed! Paige and her cute house and me. I know I missed some people. We had the best time and Paige had to practically kick us out. It was nice to be around adults! So in between the poopy diapers, spit up, and sleepless nights, I have been having fun too! I am super impressed that Marcus texted. This is a big year for him. Watch out or he may start his own blog.